Photograph: Black-and-white image of a black man in Navy uniform. Many American servicemen and women acted bravely during the attack. Cook 3rd Class Doris "Dorie" Miller, a mess attendant, was recognized for his actions aboard the USS West Virginia, for example. Although he was not trained for combat, Miller fired directly at Japanese planes with a machine gun mounted on the deck of the West Virginia. He also transported wounded soldiers and tended to the injured. 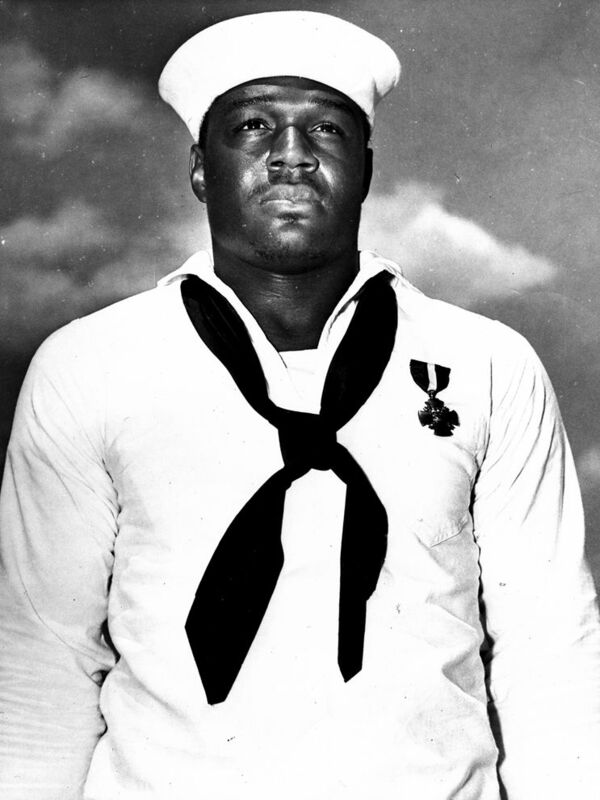 Miller was the first African American to be presented with the Navy Cross, one of the highest honors bestowed by the U.S. Navy.